On Wednesday, Sept. 19, the most recent Freedom of Expression and Inquiry Taskforce (FOEITF) report was sent out to the campus community by Dr. John Rudisill. In an effort to bring clarity and accountability to the College’s understanding of and commitment to freedom of expression and inquiry, FOEITF has taken action in response to freedom of expression controversies that have arisen on campuses around the country. FOEITF has taken a number of measures in order to evaluate Wooster’s campus climate and to accumulate information and data that could then be used to push for necessary change and conversation. These measures were taken in two phases: case study analysis and various modes of outreach within The College of Wooster community, including focus groups and surveys. 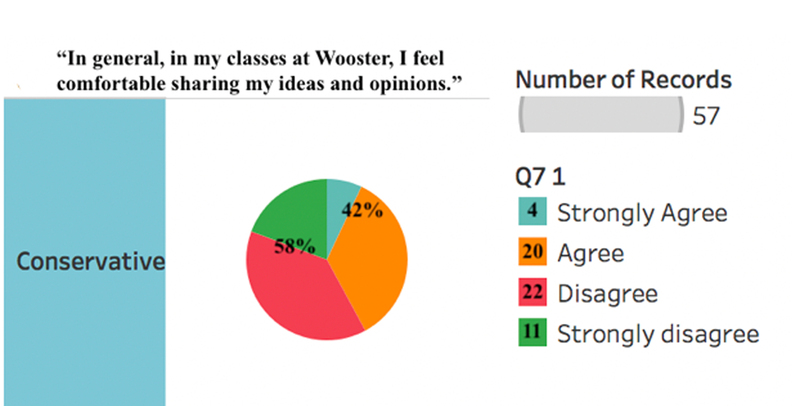 Via the focus groups, there were three primary conclusions drawn about Wooster’s campus. First, participants appreciated the complexity of the relationship between freedom of speech/expression and the provision of an equitable and inclusive environment in which they can learn and flourish. “The risk of tension and even conflict between free expression on the one hand and equity and inclusion on the other is, moreover, likely increased in the context of a community that is growing more and more diverse in its population. Such is the case with the student body at The College of Wooster,” stated the report. FOEITF exists to ensure that freedom of speech is encouraged without undermining any of the many identities represented on the College’s campus. Second, students were conscious of varying levels of comfort in regards to speaking freely on campus. Primarily pertaining to minority groups, this study concluded that students might not express themselves for fear of ostracism, lack of understanding from peers or social sanctioning. Much of the work being done by FOEITF, the Bias Incident Response Team, the Galpin Call-in Committee, student organizations and The College of Wooster community at large is in an effort to hold this institution accountable to its recorded mission and core values.